INU — Following the ignominy of the movie “Adventure of Nimrooz (Midday Adventure)”, made against the People’s Mujahedin Organization of Iran ( PMOI/MEK), the news agency of the Islamic Revolutionary Guards (IRGC) released the news about the meeting of Iranian regime’s Supreme Leader Ali Khamenei with film producers which exposes Khamenei’s role in the production of this movie. The IRGC was also involved in the production of the movie in February/March 2017. The news was first released by the IRGC following confessions and protests among various government bands due to the ignominy of this scandalous film. It was then published by other state-run news agencies. The reports show that Khamenei in the same meeting ordered the production of a movie to and whitewash the crimes of the Evin executioner, Assadollah Lajevardi, and show the facts upside down and misrepresent this criminal. Funding for the movie against MEK by the Revolutionary Guards! The story of “Adventure of Nimrooz” was written and directed by Mohammad Hossein Mahdavian and produced by Sayyed Mahmoud Razavi. Synopsis of the film is a narrative of direct interrogators, torturers and killers of the MEK in 1980s. 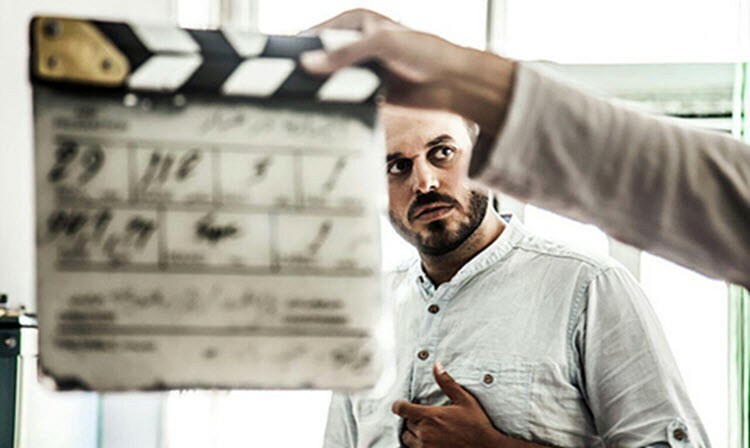 The movies goal is confronting the rise in popularity of the MEK particularly among the youths who were borne on or after 1981, in order to tarnish the MEK’s image and prevent the youth from joining the MEK. The IRGC and Ministry of Intelligence have been producing numerous movies against the MEK including “Cyanor” and “Adventure of Nimrooz” with the same intention. The ‘OUJ Artistic and Media Organization’, affiliated to Cultural Deputy of the IRGC, was formed in 2011 following the sum up and conclusion of the 2009 uprising in Iran. The sum-up of the reports by the intelligence organs including the Eltaqat (Eclectic) Department of the Ministry of Intelligence (specifically dealing with the MEK) indicates that based on the arrests, control of phone calls and emails… it was concluded that 60% to 65% of the 2009 uprising was organized by the MEK and their supporters. On the basis of this sum-up, Khamenei’s regime has taken several steps to confront the uprising in the future. Among these measures was the upgrading of the IRGC deputy information department to the Sepah (Gurads) Intelligence Organization, with the purpose of specifically taking the same role as the Third SAVAK Department in the time of the Shah, known as the “Anti-Sabotage Office,” as well as using the Basij and Plainclothes Organization… as the executive and operational arms of the IRGC. Alongside these security intelligence agencies, the IRGC’s Cultural Affairs Deputy was expanded and deployed to combat and counteract the awareness of young people using psychological warfare and the injection of reactionary thoughts. (In the last transformation in the second half of 2016, Pasdar Naghdi was transferred from commanding Khamenei’s Basij to the IRGC Cultural Deputy position). Since the people and youth despise and hate the Revolutionary Guards, the IRGC’s Cultural Affairs Deputy created the “Artistic and Media Organization of Peak” as a cultural executive arm in 2011 to pursue the goals of this deputy as an artistic organ. The head of this organization is Ehsan Mohammad Hassani, who in addition to the IRGC cultural deputy, has connection with the Ammarion (Plainclothes) base and is sponsored and financially supported by Tehran’s mayor, Pasdar Qalibaf. A professor of political science in Tehran University, Sadeq Zibakalam, who is also a close confidant of Ali Akbar Hashem Rafsanjani, former head of Iran’s Expediency Council, stated that Iran, similar to those who murdered Imam Hossein (the grandson of Prophet Mohammad), has murdered thousands of members of the People’s Mojahedin Organization of Iran (PMOI/MEK) in the course of 10 years following the 1979 revolution, most of them during the summer of 1988 in Tehran’s notorious Evin Prison. This was reported by al-Quds al-Arabi daily on February 11th, 2017, in an article written by Mohamed al-Mazhaji. “Guya News” website also published excerpts of Zibakalam’s remarks on the sideline of Iran’s annual “Fajr” film festival in Tehran marking the 1979 revolution anniversary. Iran has murdered thousands of opposition MEK members during the years after the 1979 revolution, without any judicial process or proving any crime, Zibakalam reiterated, referring to events of the summer 1988, and issues raised in the sound file of a meeting between the Islamic republic’s “Death Committee” with Hossein Ali Montazeri, the former successor of the Islamic republic’s founder. Zibakalam also strongly criticized the movie produced with the support of the Revolutionary Guards (IRGC), “Majaraye Nimrooz” (Midday Adventures), which was previewed at the Fajr film festival. He said that the film does not replicate the truth about what took place between the IRGC and MEK during that period. “We accuse the MEK of conducting a series of assassinations back in the 1980s. Did MEK members carry out these measures for no reason at all?” this Rafsanjani confidant asked. This film retells the events from the Iranian regime’s point of view, depicting an image of the IRGC as kind individuals defending truth and humanity, and not the truth, he added. Instead, we killed thousands of MEK members in Evin Prison without due process, Zibakalam continued, and added that the country was witnessing a civil war at that period of Iran’s revolution, between the IRGC and the MEK, costing the lives of thousands of people. 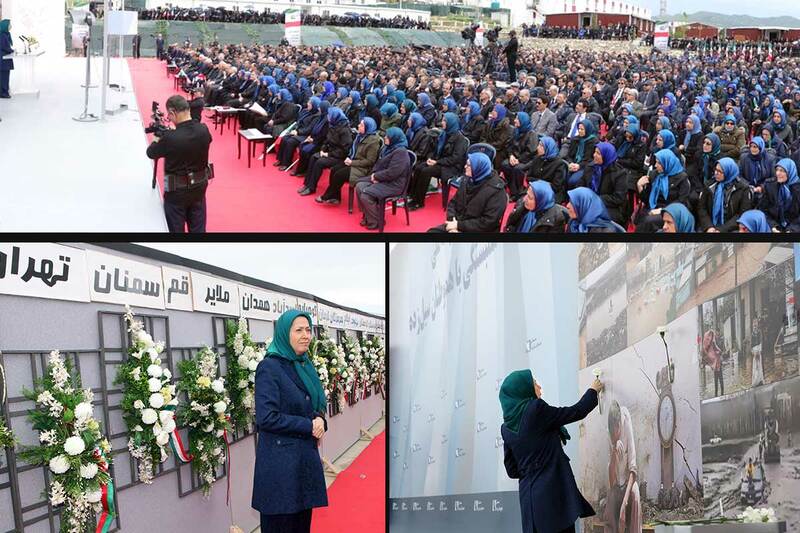 The MEK is one of the main organizations that, beginning in 1965 played a pivotal role in the 1979 revolution, through armed resistance and popular movements against Iran’s monarchial regime. 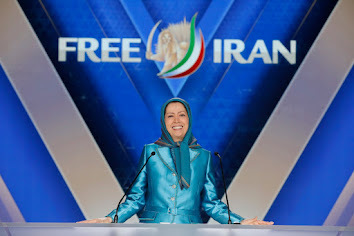 In fact, MEK leader Massoud Rajavi was the leading candidate in the presidential elections after the revolution, and the MEK played an important role from 1979 to 1983 inside Iran. Then, due to the conflict between the state and revolutionary forces, Khomeini, founder of the Islamic republic, prevented many MEK members from holding any possible official jobs in governmental administration, and deprived its members from political activities. Montazeri’s sound file, released by his son, Ahmad Montazeri, made significant revelations, especially since “Death Committee” members explained the reason for condemning and executing thousands of MEK prisoners in 1988. In response, Montazeri had said not according to sharia, morals or humanitarian principles is it permitted to kill an individual who has been condemned once in court for maintaining their position, because they have not committed a new crime and they were already in prison. The “Death Committee” members emphasized to Montazeri they had to be executed because they approved the MEK. “Death Committee” and he currently is the head of the Ministry of Justice in Hassan Rouhani’s cabinet. Ibrahim Reisi is now the Supreme Leader’s representative and head of the organization managing the Imam Reza shrine in the city of Mashhad, northeast Iran. Hossien Ali Nayeri is now deputy head of Iran’s highest court. Reports by the United Nations confirm the execution of at least 3,600 MEK prisoners in Tehran’s prisons. Other security reports, obtained in 1998, indicate the “Death Committee” executed over 30,410 MEK members across Iran in the summer of 1988. This is in addition to the execution of 3,500 prisoners of leftist parties who were behind bars since the first years of the 1979 revolution. Ahmad Khatami, a member of Iran’s Assembly of Experts Board of Directors and the Qom Religious School and a Friday prayer leader in Tehran, in response to the “Death Committee” sound file, stipulated for the first time that the execution of MEK prisoners in 1988 was carried out on charges of “moharebe against God and his Messenger” (enmity against God and his Prophet) and according to an order issued by Khomeini. He added that this measure was in line with implementing orders of the Quran, Islamic jurisprudence and a revolutionary measure that has served in the better interest of Islam and Iranian people. Pour Mohammadi admitted to the accuracy of the issues raised in the sound file and added, “I am proud of implementing Khomeini’s orders against MEK members.” He stated further, that God’s order against them has been carried out. The Qom Islamic revolution court sentenced Ahmad Montazeri to 21 years behind bars and stripped him of his clerical authority for publishing the sound file.